Place all ingredients (except the bread) into a sauté pan. Cook on medium heat and bring to a simmer. 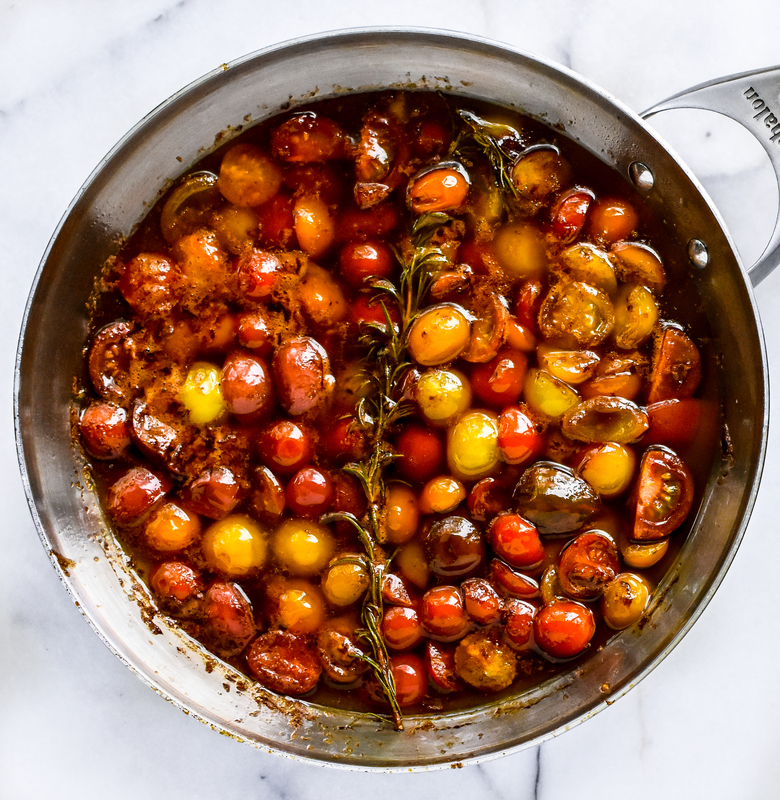 Simmer for 20 minutes until the tomatoes are softened and the balsamic reduced. This entry was tagged A Pleasant Little Kitchen smothered tomatoes recipe, A Pleasant Little Kitchen smothered tomoatoes, smothered tomatoes, tomato dip. Bookmark the permalink.